Have you been following the recent popular hashtag #IndianEditLook? If you have been an avid reader of blogs, you must be aware of #BlogChatter. The first woman about whom I am going to talk about, or rather who is going to talk about herself, in this post is Richa Singh. I haven't really met her in person but I have been following her since a long time now. I met her online because of one of her initiatives called the #SecretSanta. It was then that I came to know about the Blogchatter and realized that Richa is the brain child behind so many initiatives which are all about happiness. Well, that is what she works for - happiness! She is this witty and chirpy lady who has inspired me with everything that she has done so far. And when the idea of this series came to my mind, I was like - hey, why not start with her! She created a platform for all the aspiring bloggers. I know how difficult it can get to sustain your blog in an environment which can get a li'l demotivating and hostile at times. Richa's platform gives every blogger the guidance he/she needs to write better, engage and increase traffic. She has come a long way - from being associated with great projects to achieving her personal milestones to being nominated as the Inspiring Woman Entrepreneur at the Orange Flower Awards. I don't think there would have been a better time to interview this girl next door who started young and is still on a spree of doing great things! Know her more. Question: No matter how enticing it may sound, but it is always a tough decision to leave a well paying and stable job to pursue your dream. How was it for you? What was your motivation? Richa: Honestly? The final push was a horrible boss. But having said that, it did germinate from the fact that I was never happy doing what I was doing. While there were highs but the lows were more often and much worse. 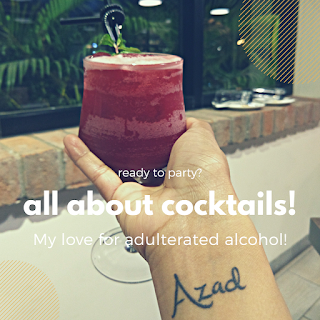 Today at Blogchatter, I work like a crazy human being but each day I wake up happy, inspired to take on the world and the challenges it throws my way. Perhaps this is what I wanted to target – revenues, business growth all are jargons to keep the outside junta engaged in our dreams, real point is always ‘Happiness’. Question: Doing something which is not that conventional is always a big deal. It is definitely a struggle to maintain your dignity. How has been the struggle for you so far? Is the struggle over yet? Richa: First of all, I love this question. And I am so happy someone articulated it exactly the way you did. It is a scary world of prejudice out there. I remember when I started Blogchatter and I would discuss bloggers or blogging – most of my friends would laugh in my face. They would consider me crazy to be excited about some random stranger’s dropping Alexa Rank. I was mocked with specifically these words ‘What or who is even a ‘popular blogger’?’ So the world out there never wants to understand things they are not acquainted with. A Senior Manager at Tata Motors is a box they like. A box they too see themselves occupy. A Co-Founder at Blogchatter is not only intimidating but also a strange concept that does scare them as much as alienate. Question: And being a woman, how hard was the struggle? Richa: Very. The constant body clock theories, persistent relatives about having a baby – running the house. A woman is never free of stereotypes from society. In fact I will share an incident, when I quit my job – most people thought I am doing so to plan a baby! It was only when I said – my husband is also a part of it that they gave me an audience and the attention my ideas warranted. Otherwise, quitting job was looked at as my way of taking a break from ‘work’ to concentrate on things ‘more important’. Having said that, the industry though never formed any prejudice. Most people from clients to vendors who do work with me know I am a hard task master and in fact thrive on this. Never have I suffered a gender bias there. Question: By the above question, I meant if you had to really break some gender stereotypes? Richa: To begin with, I did cut off my communications with a few. Mostly though I kept being at it. Every milestone I conquered, the answer was out there for them to pick. Plus, a lot of credits to my husband who never even attempted to place the gender equation in front of me. In fact when times were bad and I did question my own actions, he was the first person to jolt me out of self-doubt. I think for any person – gender irrespective- a support system matters. It could be a friend, a parent or a spouse, but you need those people who become your voice of clarity when you lose hope. Richa: By showing up for my plans. It is easy to dream and very difficult to see them all through actions. Even today my only objective is that if I plan on doing something, I simply need to do it. What outcome or success arrives is not my concern after that. Only idea is that I decided to take up a task and completed it. These small milestones then slowly snowball into an idea larger than you and people may defeat people, but ideas are immortal. It is not that log kya kahengey has ceased to exist in my life but on a continuous basis my own ideas provide some befitting replies & closures to them – that in itself is enough for me to carry on. Question: What is it like to be a one-woman-army? Richa: What was! I now have a team of people backing me up. And hopefully in 2018 there will be many more joining this movement. 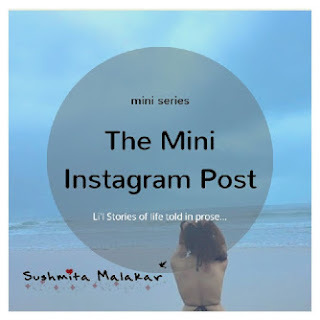 But yes, coming back to your question – for major part of Blogchatter journey so far, it was a one-woman army and it was tough. But also it was very liberating – because I had no one to answer to or take notes f my vision and made me reach where I am today. Now moving ahead, I often pass on this vision to the team at hand and I believe if I didn’t have that journey of single person team, my convictions would lack clarity. Question: I have been following you for a long time now. I know you are a person who thinks with her heart. We all have our bad days at work. What keeps you going during those days? 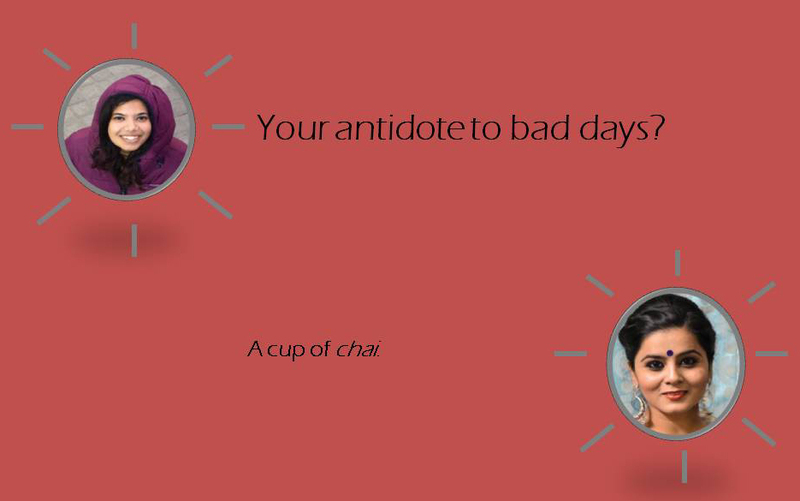 Richa: A cup of chai. Honestly, I have had fair share of bad days. Some very heart breaking ones too. Building blogchatter is building a thousand dreams and not all will flourish, so most failures are hard. They are akin to letting go of a dream. Positive actions helps during those days. When things don’t work, I push myself into another idea or action to create a sense of positivity and also usefulness in my head. I plant new seeds of ideas and that thought keeps me going. Also I take half an hour breaks, with books and more chai. That sort of interlude can never go wrong. Question: Message that you would want to share with people who want to follow her dreams but have their own set of apprehensions? Richa: Always the same, simply show up for your plans. Do not let them stay inside your head far too long. Dream, plan and act – what is the worst that can happen? You will fail? That’s a lot better than not doing anything at all. Also, people will always have an opinion, they will always want to impose their ways onto you. Listen but absorb only that makes sense. And yes, stop feeling sorry for yourself. No matter what.